Thanksgiving is just around the corner and that means Christmas is not far behind! If you are not quite yet in the holiday state of mind, maybe a trip to the beach will get you into the spirit. We have so many festivities coming up, here are just a few that will have you dreaming of a white “sand” Christmas in no time! 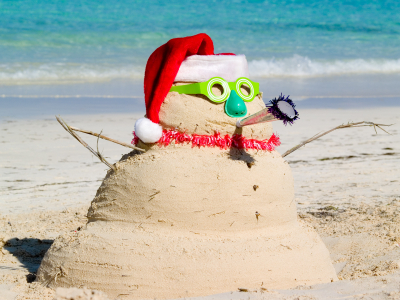 As you can see, there are more than a few ways to celebrate and get into the Holiday spirit at the beach. We hope you and your family will join us at the Inn so we may present you with a warm and inviting Holiday Season! This entry was posted in Beacon house inn, Carolina Beach, carolina beach lake, culture, Family Friendly, General, Holiday season, Holidays, hot chocolate, Island of Lights, Local, Local Sights, theater, theatre now, Uncategorized, Wilmington, Winter Events and tagged carolina beach, christmas, holiday events by admin. Bookmark the permalink.